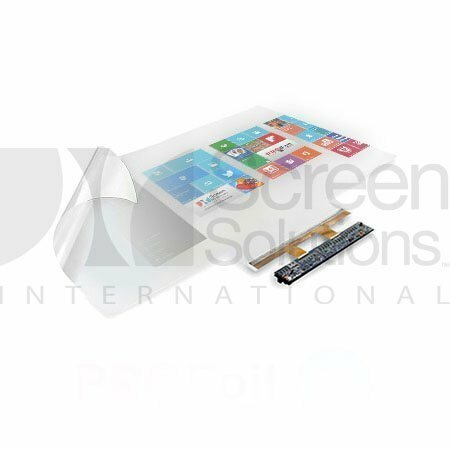 Diagonal Size Choose an option30"32"37"40"42"46"50"52"55"60"65"70"74"80"90"100"
Using a Multi Touch Foil is crucial if your project is meant to accommodate multiple users. By upgrading to a multi-touch format, these foils have twice the resolution as a dual touch foil. The number associated with each type of multi touch foil represents how many points of touch (i.e. fingers) can interact with the surface at the same time. Having a 10, 20, or 40 point multi touch foil gives you access to the same gestures as a dual touch foil, but with added accuracy and up to 20 times the level of interactivity. This type of foil is typically used in projects that have a consistent level of traffic. 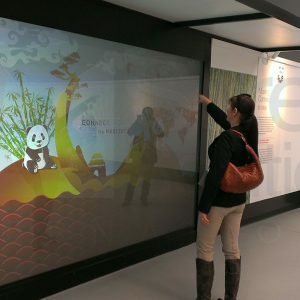 Trade show presentations, office conference rooms, and lobby displays benefit greatly from what a standard multi touch foil can provide. Screen Solutions International ships every multi touch foil order in a secure tube and/or box to ensure its safety no matter how far it is traveling. Each foil is carefully assembled and tested to ensure everything works perfectly upon installation. If you would like more information, you can contact us or visit our sister-site PROFoils.com. *Some sizes only available via custom order. Call 1-888-631-5880 for details. Each touch foil is listed by its diagonal size according to a 16:9 aspect ratio. For specific measurements, please view the information below.